Posted April 8th, 2019 by Crisis Centre & filed under News, Recognition, Volunteer. National Volunteer Week is an opportunity for the Crisis Centre to recognize those of you who devote your time, energy, and passion ensuring that we can provide hope for people when they need it most. Our volunteers are mission critical in responding to our callers and chatters, and in carrying the message that we are capable of helping each other deal with suicide and crisis when it comes into our lives. It is because of your ability to work for the health and wellbeing of our communities that we can begin to see compassionate, connected, suicide-safer communities. and you ground the work we do in joy and the belief that the power of listening without judgement can open up pathways to health and wholeness. Although I know you are here because you want to make a difference, for National Volunteer Week we’d like you to also come for the goodies. We’ll have assorted tasty treats for you in the kitchen and phone room all week long. 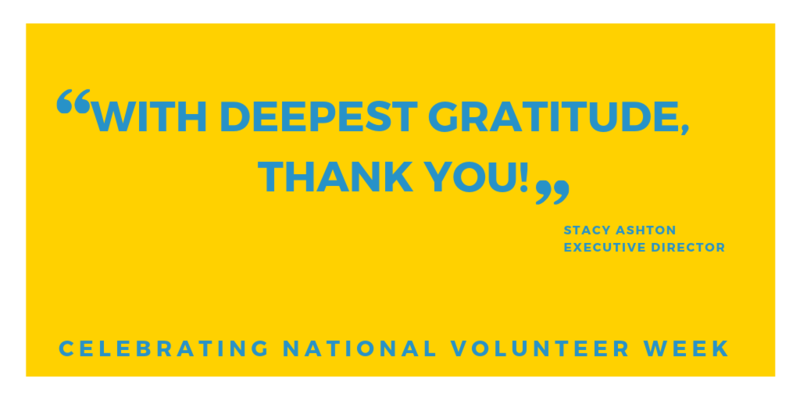 Thank you, and have a wonderful National Volunteer Week!